Peter Leo Knight (Gunner No. 30958) - Ammunition Column - Royal Field Artillery - 29th Division. Peter was born in 1888, and married an Eton girl, Ellen Eliza Sable, on August 5th 1911 when he was 23 years old. He apparently gave the army his parents' address at 108, High Street, Cheriton, Kent, and it is possible that Peter himself was a Kent man, because no local reference to him has been found until his wedding in 1911. It is believed that he and Ellen Eliza made their home at 4, Meadow Lane, Eton. Certainly his widow was living there after the war. There are a number of ponderable points to Peter's story, and the address is but one of them. One month after the outbreak of the Great War, in September 1914, he was listed in the Parish Magazine as serving in the army. He had one son named Horace. # The Commonwealth War Graves Commission states that he chose to serve under the name of Knighton. There is no apparent reason for adopting a changed name, and this is yet another of the ponderable points. Peter was a gunner on an ammunition column in the Royal Field Artillery with the 29th Division. This Division was the last of three which were formed in Britain at this time comprising troops of regular serving Battalions returned from overseas service. Half of the 29th's twelve Battalions were English and were the 2nd Royal Fusiliers, 1st Lancashire Fusiliers, 1st Border Regiment, 2nd Hampshires, 4th Worcesters, and 1st Essex. Like other Infantry Divisions they additionally had attachments of Artillery, Army Service Corp, medics etc. The 29th Division was a famous Division in W.W.I and in April 1915 was the first to go ashore at Cape Helles, Gallipoli. On landing they were faced with strong barbed wire defenses and were mown down by Turkish guns while attempting to cut a way through. The Division artillery was inadequately supplied with shells and was consequently ineffective. Unfortunately the Gallipoli campaign was ill prepared, and by December of the same year the allies had decided to evacuate all the troops. Before this realistic decision was made the 29th had been moved up the west coast of the peninsula in support of a fresh attempt that was launched at Suvla Bay, in August 1915. 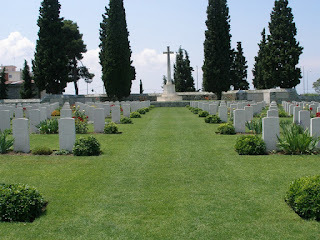 In September the allies agreed to send British and French troops to Salonika in Greece, taking two British and one French Division from Gallipoli in support of that country, which felt threatened by a German supported Bulgarian attack on neighbouring Serbia. Had the three Divisions been sent from Gallipoli the campaign there would have been seriously denuded of much needed men and resources. In the event just one British and one French Division was taken. The 29th Division remained on the peninsula until the end of December 1915 when the general evacuation took place. Peter Knight was drowned on October 23rd 1915 when the transport ship H.T. Marquette was sunk in the Aegean Sea by a U-Boat. There were 99 lost in this incident and most of them were Indian troops. Perhaps this was a draft of men to re-inforce the 29th Division, in which case Peter had not actually served in action at Gallipoli. If he had served in that theatre of war, then he was en route to Salonika as part of the detachment. U-Boats had been very active in Aegean Sea lanes between Gallipoli and Greece, and on September 14th had torpedoed the British troop ship Royal Edward with the loss of 1,000 lives. Peter is commemorated on the Mikra Memorial, Salonika, Greece. The memorial commemorates 478 missing and is situated in the Mikra British Cemetery, which itself contains 1,962 graves from the 1914-18 war. Peter was 27 years old. Another small mystery concerns the Eton Wick Memorial. At the time of the dedication and unveiling service on March 13th 1920, Peter's name did not appear on the form of service and more importantly was not on the memorial. Probably this was due to having an Eton town home address. His name was added some months later, after consideration of the fact he had enlisted from Boveney. Unfortunately the addition is not in alphabetical order, as were the original inscribed names, but appears at the foot of the west panel. His name is also on the Eton Church Gates. Peter left a widow and one son. His widow married again and became Mrs Brant.